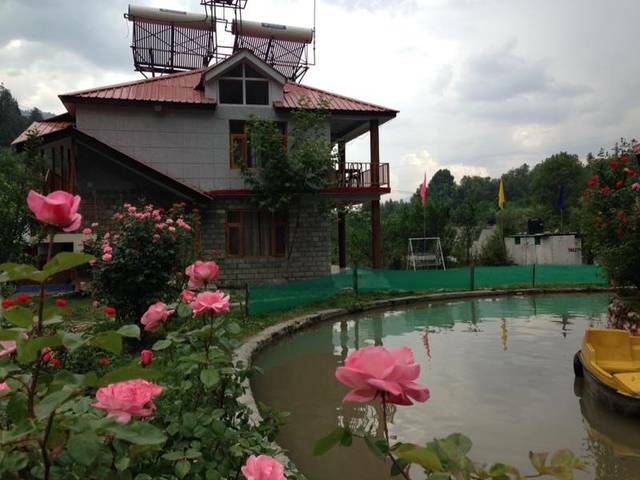 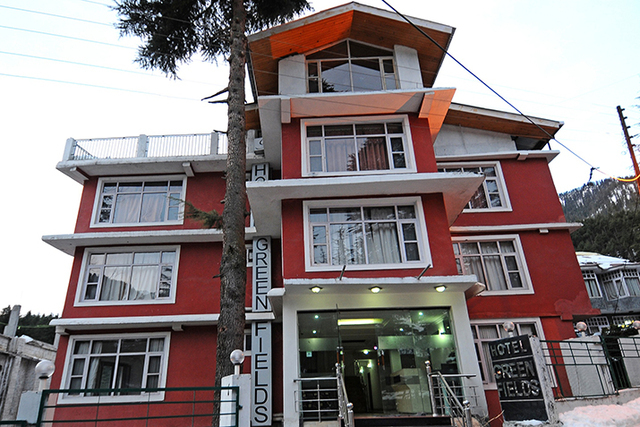 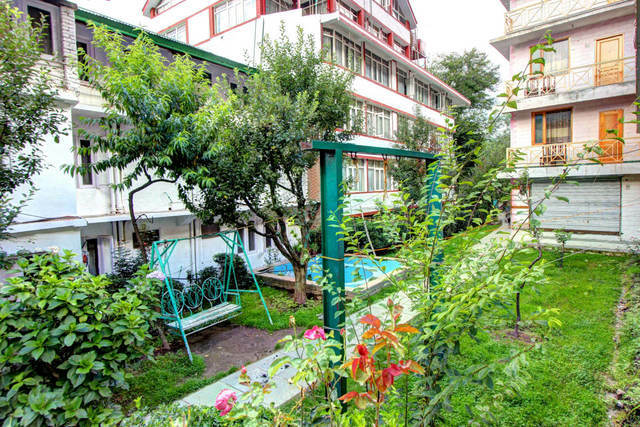 While looking for value-for-money-deals, Hotel Greenfields tops the list with its scenic location in the LogHuts area with a number of modern amenities and superb hospitality it provides. 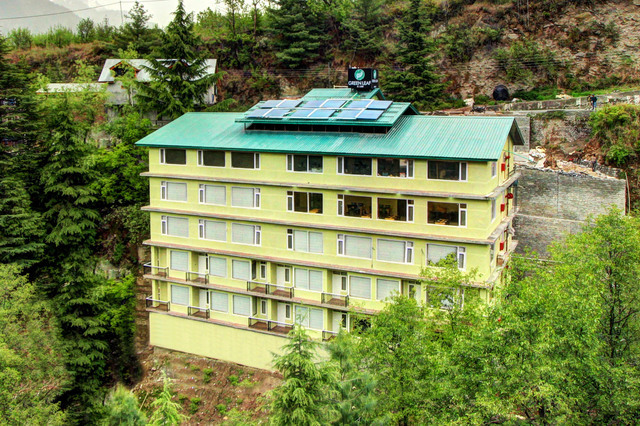 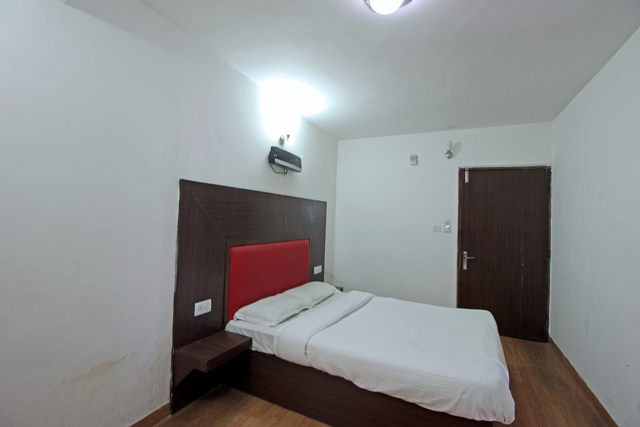 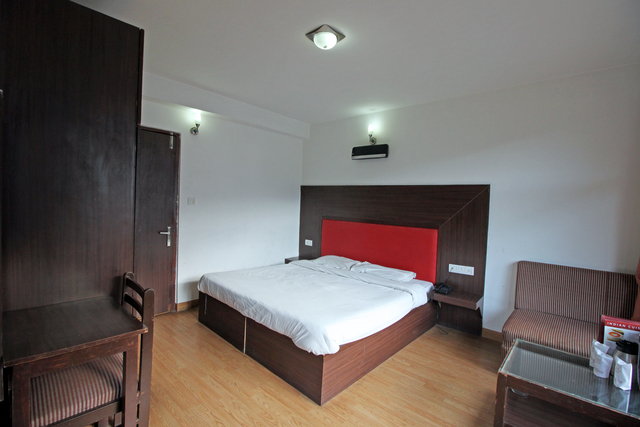 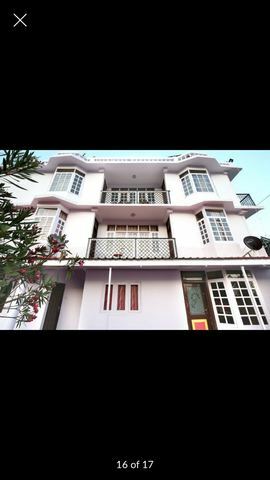 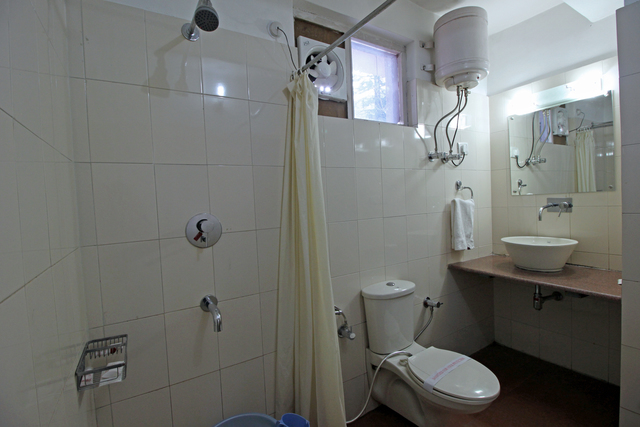 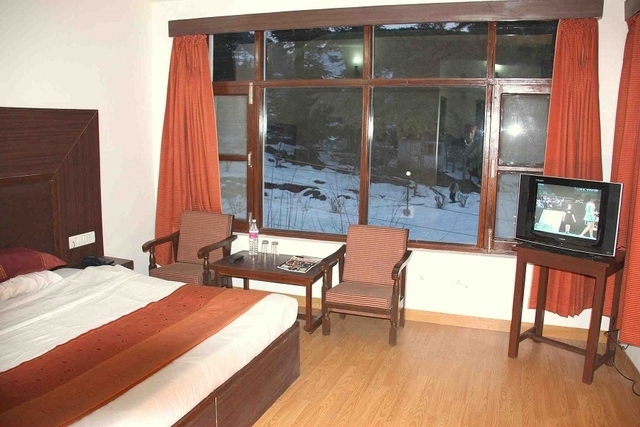 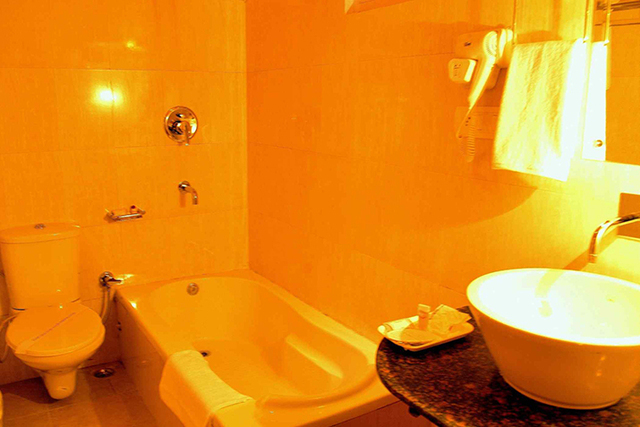 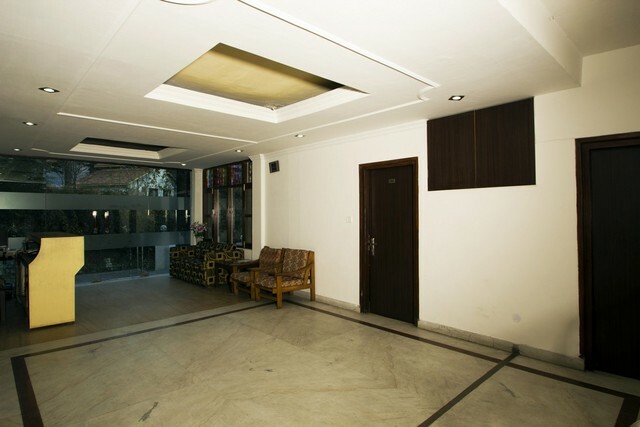 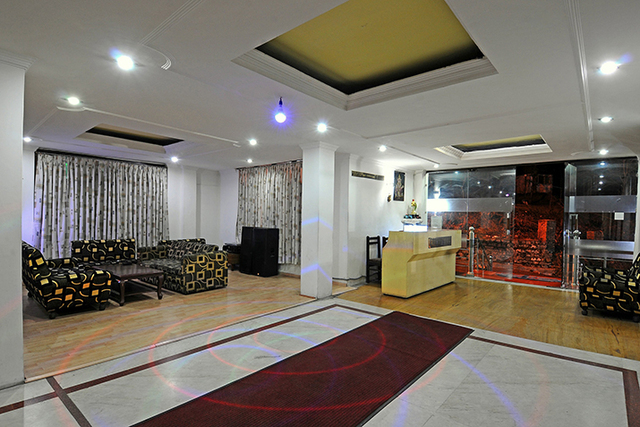 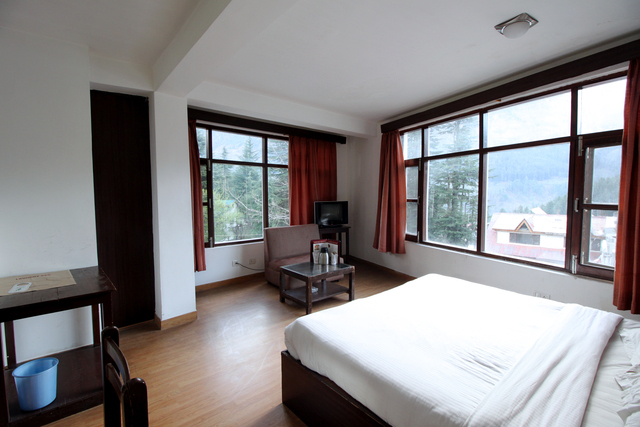 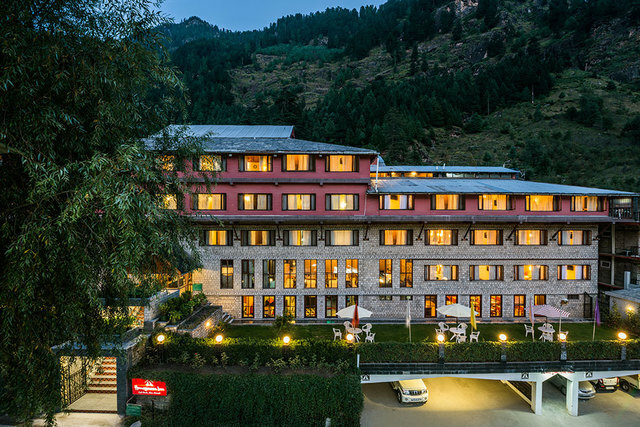 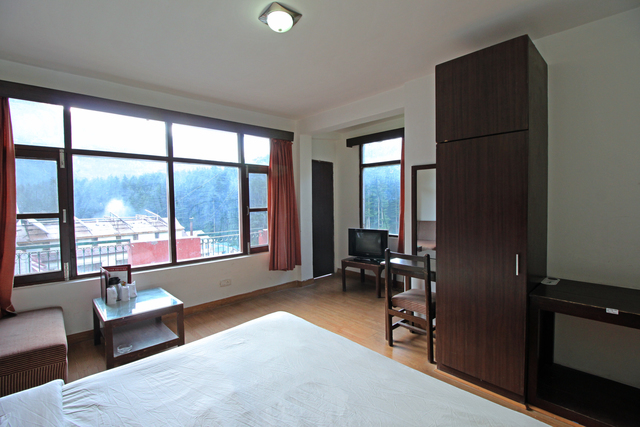 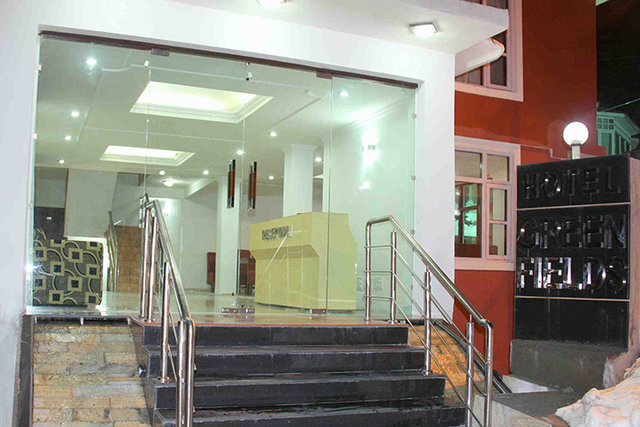 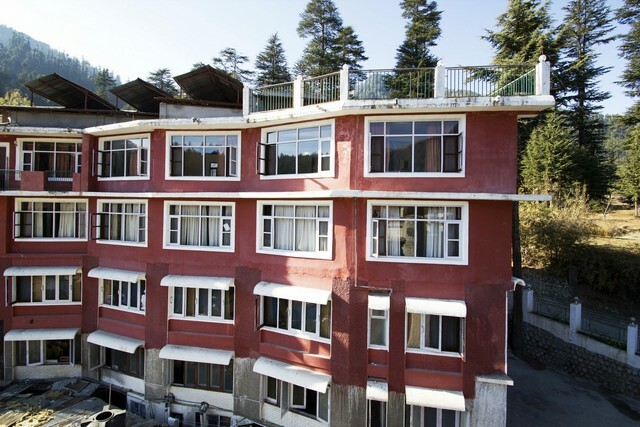 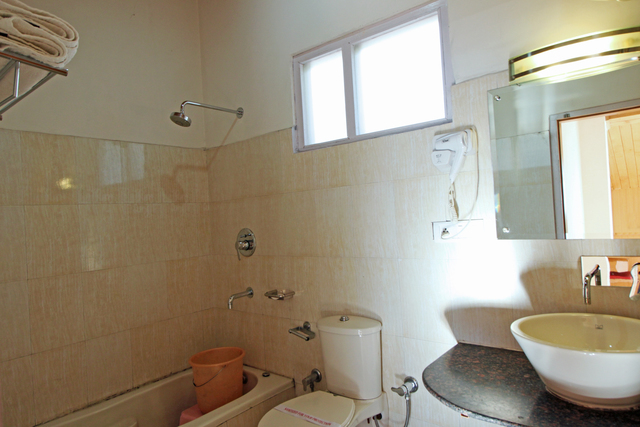 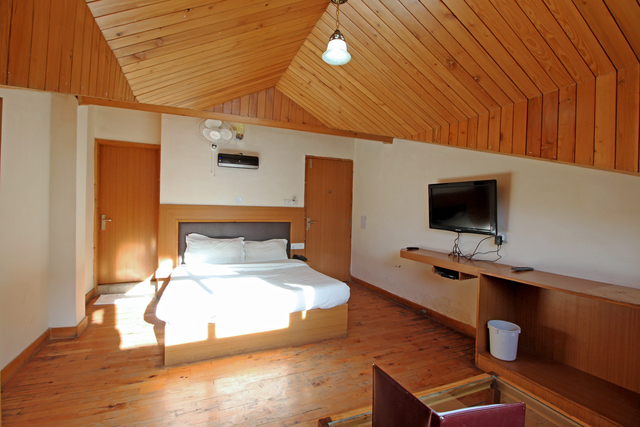 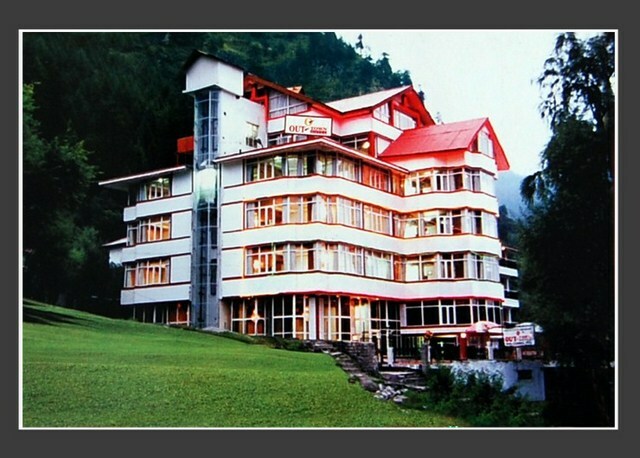 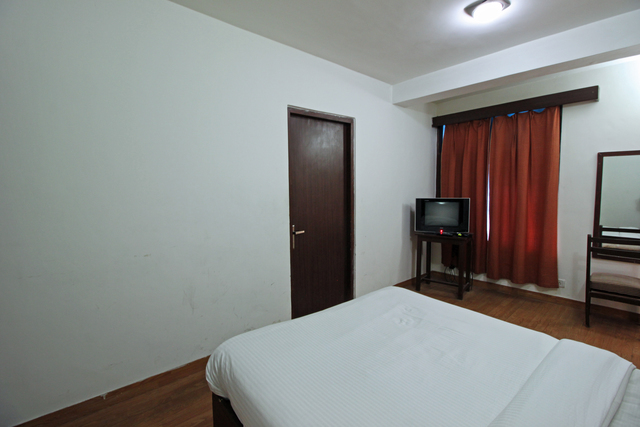 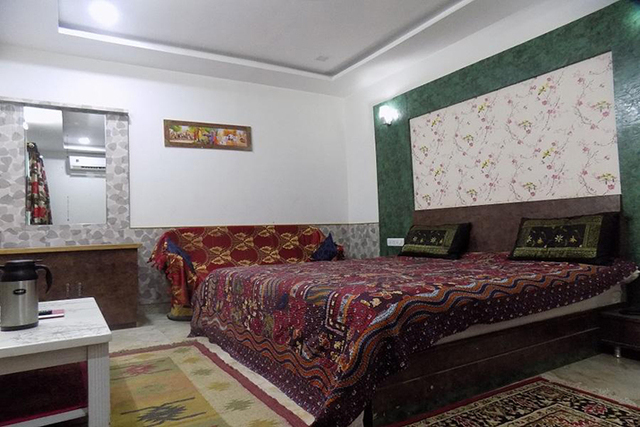 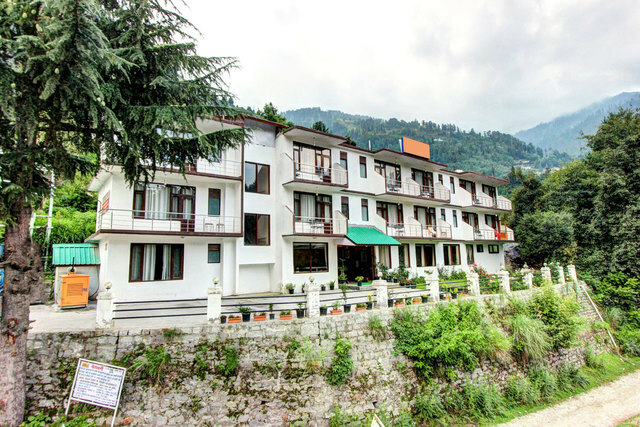 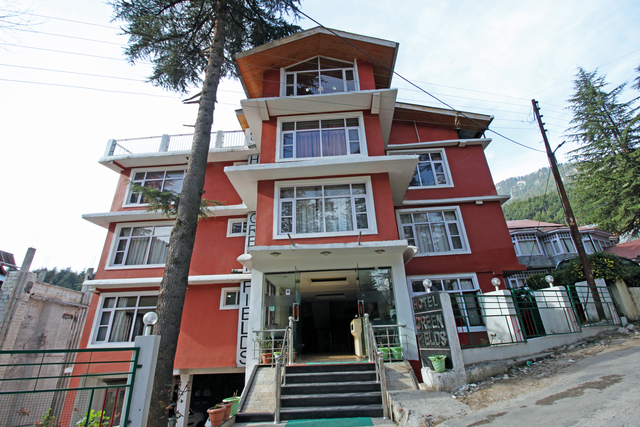 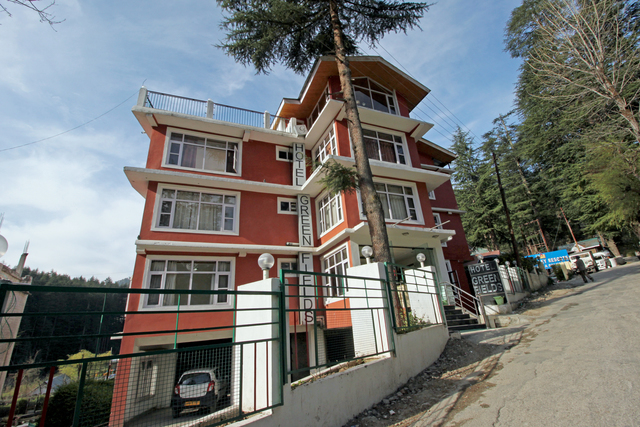 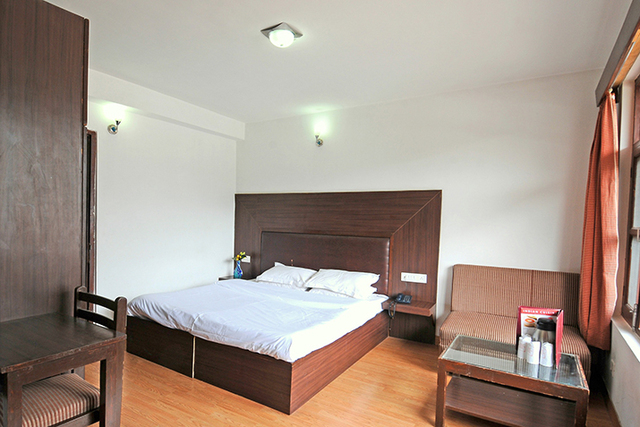 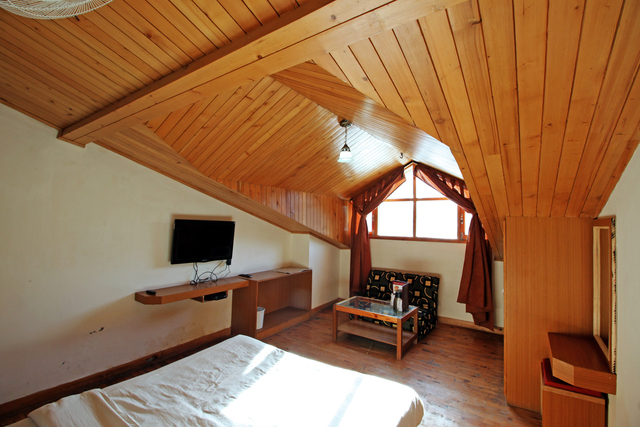 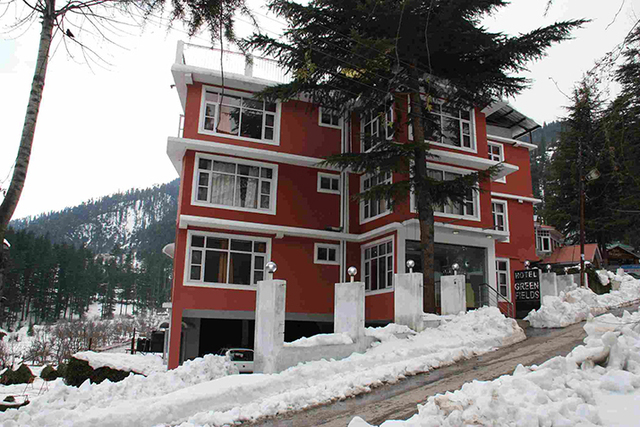 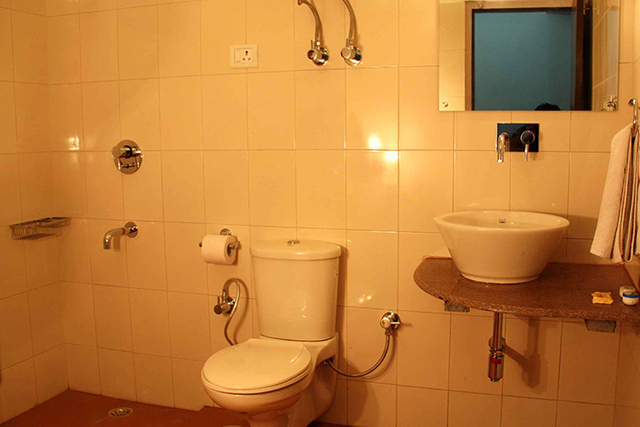 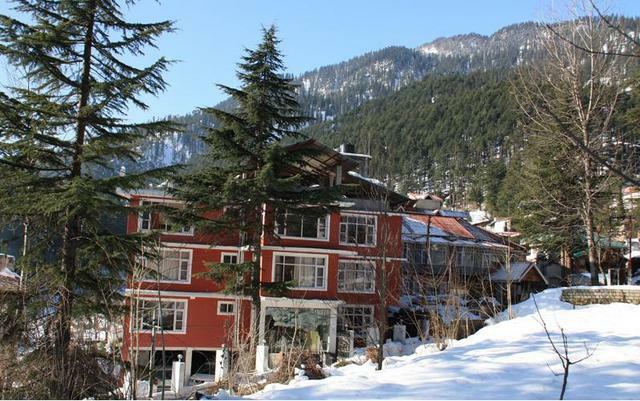 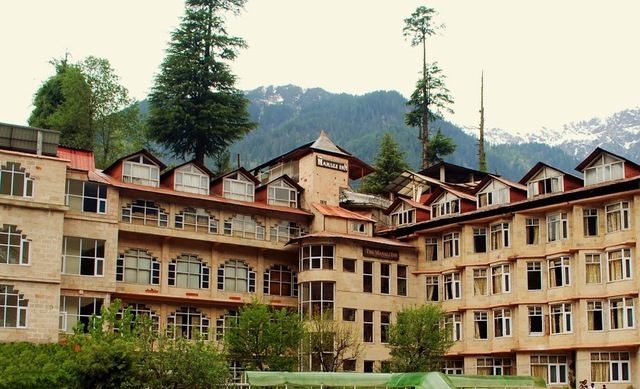 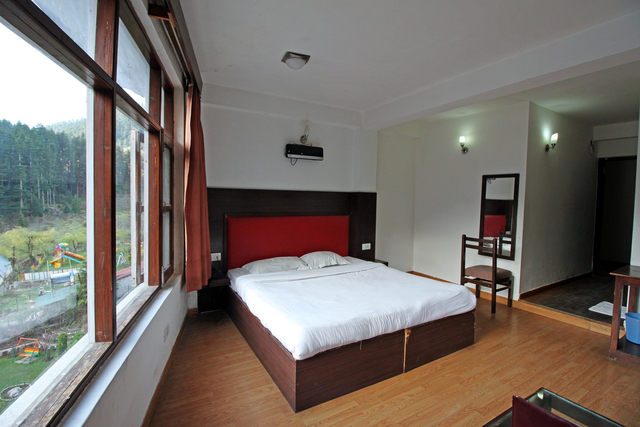 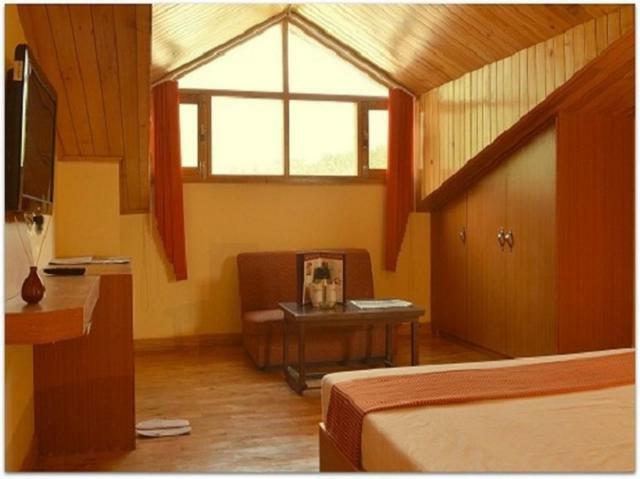 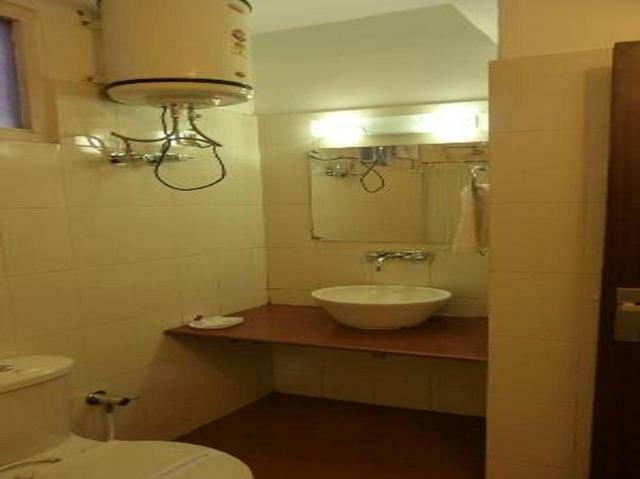 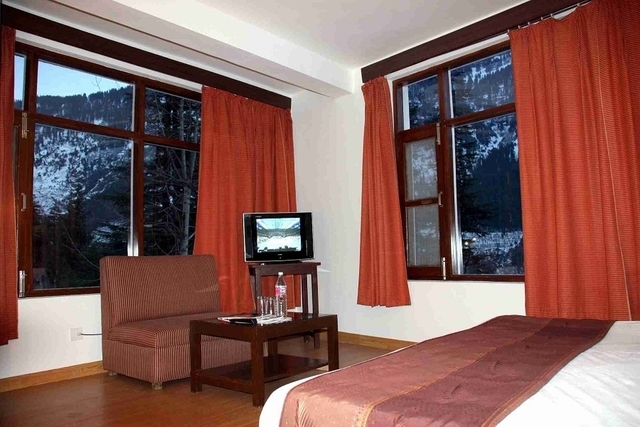 It is a 3-star hotel in Manali housing 5 Family Suites, 3 Super Deluxe Rooms and 18 Deluxe Rooms, all of which are exclusively designed in contemporary style with wooden interiors and mod furnishings. 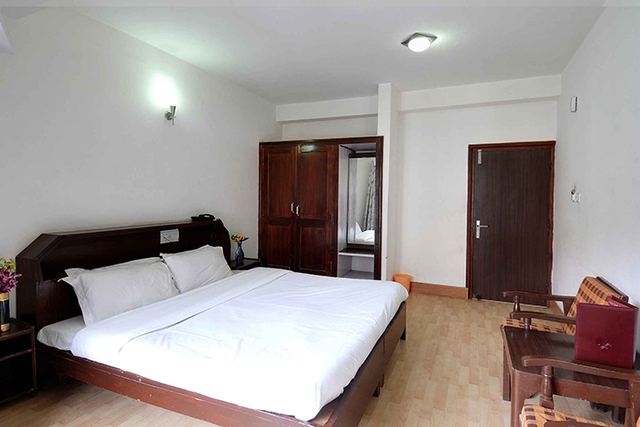 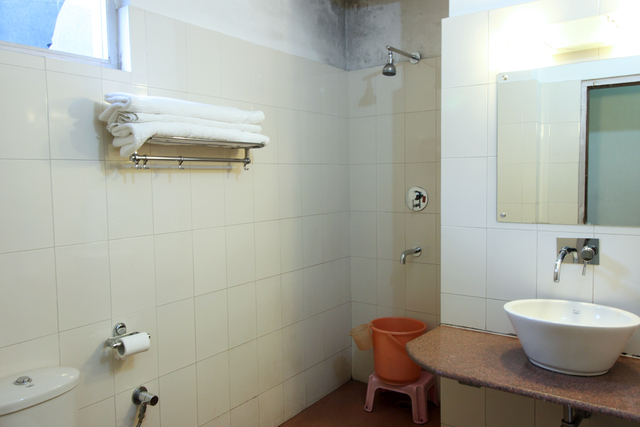 In the rooms, you will find a flat-screen TV, access to Wi-Fi, intercom and an attached private bathroom with bath amenities. 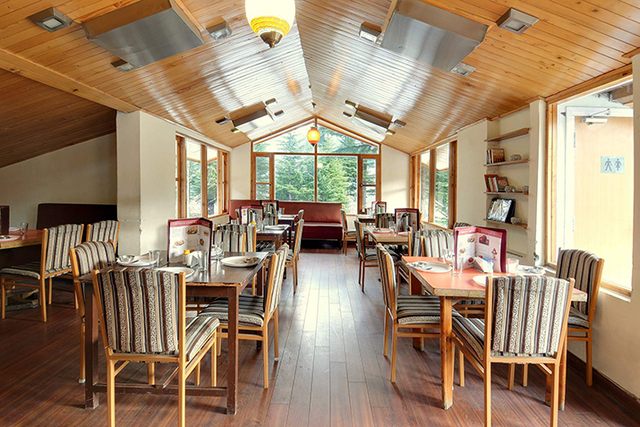 The multi-cuisine restaurant at Hotel Greenfields serves a range of delicious Indian, Chinese and Continental delicacies for you to have a stomach-full meal. 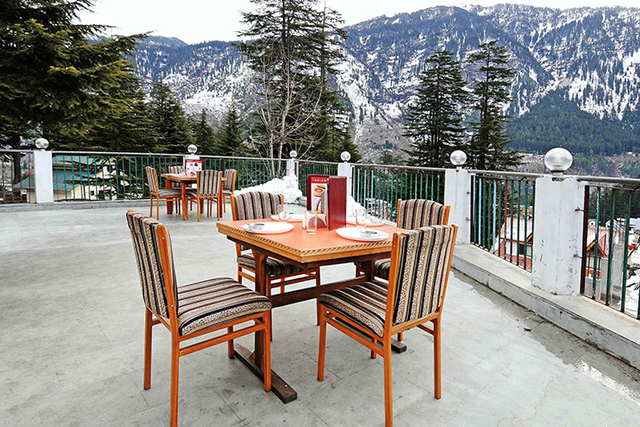 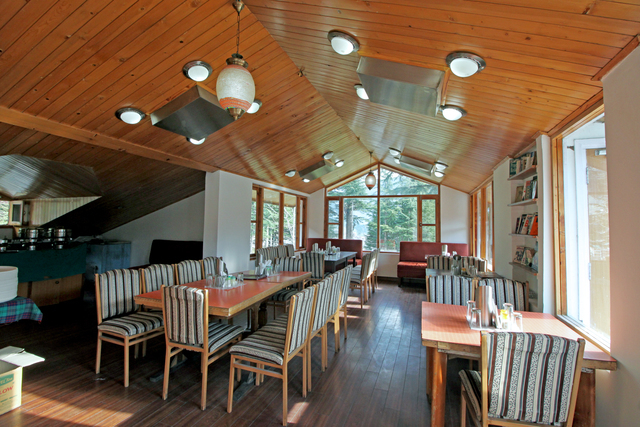 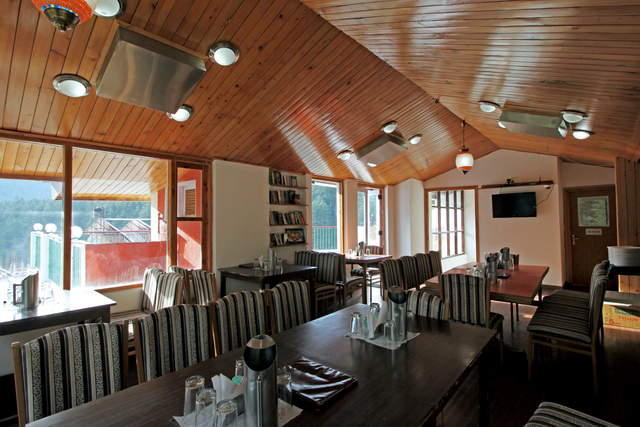 Moreover, you will find a range of restaurants in Manali such as Drifters Cafe, Casa Bella Vista, II Forno, The Lazy Dog, Himalaya Organics, PEOPLE and Sunshine Cafe that serve scrumptious cuisines from around the world. 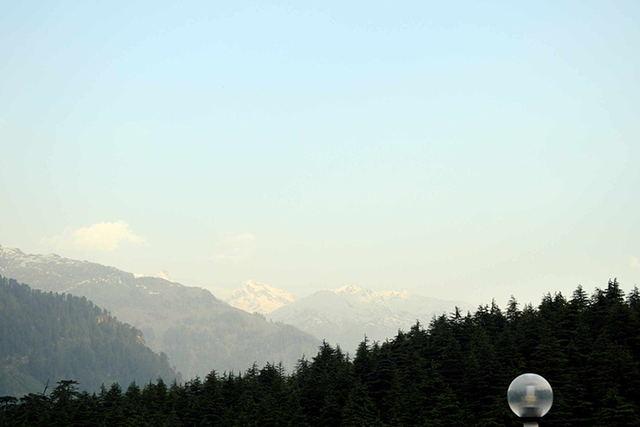 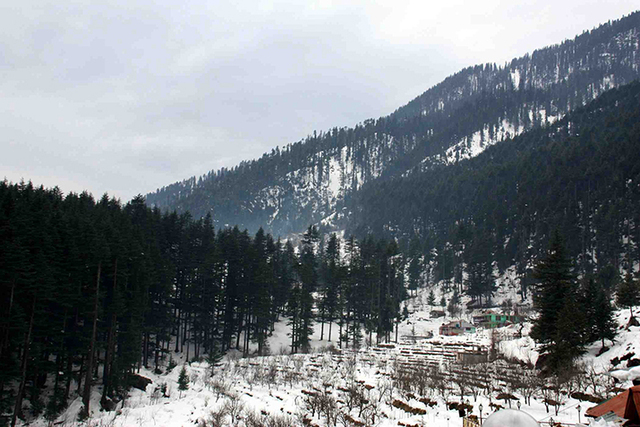 Visitors often make it a point to pay a visit to Hidimba Devi Temple, Manu Temple, Ghatotkach Tree Temple and Siyali Mahadev Temple which are few of the many temples in Manali. 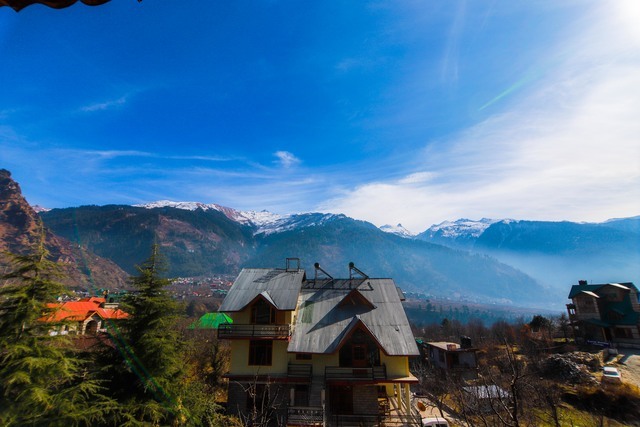 Things to do in Manali are plenty, adventure lovers would enjoy checking out places like the Zana Falls, Beas River, Hampta Pass, Rahala Falls, Jogini Waterfall and Beas Kund.